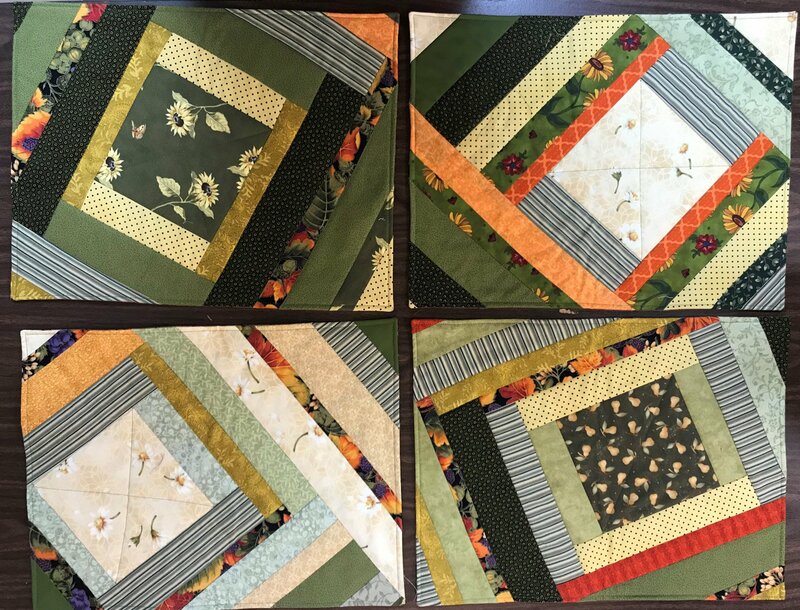 Quilt as you go placemats can be done with preprinted batting or create your own design. Fabrics can be jelly rolls and 6 1/2" squares or include some of your scraps from previous projects. Great for gift giving.